Your first order of business today is to carefully evaluate your portfolio for any big winners, which are trading well above their historical multiples. One of the best leading indicators of a market crash is flashing red – big-time red. The SMFI (Smart Money Flow Index), which is a nearly perfect indication of where the market is heading next, has plummeted to its worst read since 2008 and 2001. This doesn’t mean a massive crash is days away, but with a very high likelihood of assurance – it is weeks or a few short months away. Not all stocks will go down together; certainly, not all of them crash with similar percentage numbers, and some will rally through the correction, as funds prepare for the paradigm shift we’ve been discussing for months. But for most traditional stocks, especially components of the S&P 500, Dow Jones, NASDAQ, and Russell 2000, the peak for the year might happen soon. Personally, I sold my position of ArQule Inc., one of the only tech plays in my portfolio, since I’m anticipating the biggest tech IPO of the year to occur next week, and I want to be cashed-up like a divorcee on a shopping spree. ArQule was a stock I bought three years ago, before Wealth Research Group was even founded, and it did nothing substantial for the first two years. In fact, I was down 35% at one point, but patience again prevailed. When you have faith that management is taking the right steps, the market comes around to see the value. In three years and two months, I banked nearly a 260% gain – as you can see, the stock has gone parabolic, and I expect next week’s IPO to create another beautiful hockey-stick shaped chart for us, right off the bat. Smart money has one detrimental flaw to it – fund managers become so sought-after that they have to manage such large sums of money, which are counterproductive to them. Warren Buffett has alluded to this problem many times over the past years – the biggest businesses on the planet, run by the most experienced CEOs around, are spending record amounts of shareholder funds, buying back shares of the companies, since they can’t find growth opportunities elsewhere. Companies, such as Apple, are not designed to invest a few millions of dollars at a time and diversify throughout hundreds of early-stage deals – it would spread them too thin. You and I have a clear advantage here – I plan to fully capitalize on it. As you know, Ray Dalio’s fund, Bridgewater Associates, just revealed that it is bearish on almost all sectors, making gold one of their only LONG positions and certainly one of their larger ones. Divesting out of large-cap overvalued positions, banking major profits, tucking them into our cash allocation, in anticipation of the biggest IPO ever, early next week. Conducting thorough internal housekeeping of all open positions, making sure you are confident in the financial strength of the businesses you own, in case of a severe correction, which can last several months. Researching Artificial Intelligence and its unbelievable potential to disrupt major industries, such as financial technology, healthcare, supply chain management, automated manufacturing, and cryptocurrencies. Hedging our portfolio with a new precious metals play – the first silver company in Wealth Research Group’s history to be published in a matter of days. Shares of this company are so cheap that a private buyer placed a bid for the entire business for a 100% premium, basically offering double the current market cap, and the board refused to entertain it! The FED is totally helpless, as the private sector is hitting record low unemployment, coupled with the lowest interest rates environment in more than 1,000 years and with tax cuts in place to allow people to spend and businesses to keep hiring. Inflation is around the corner, and silver bulls are nowhere to be found – it’s ideal. 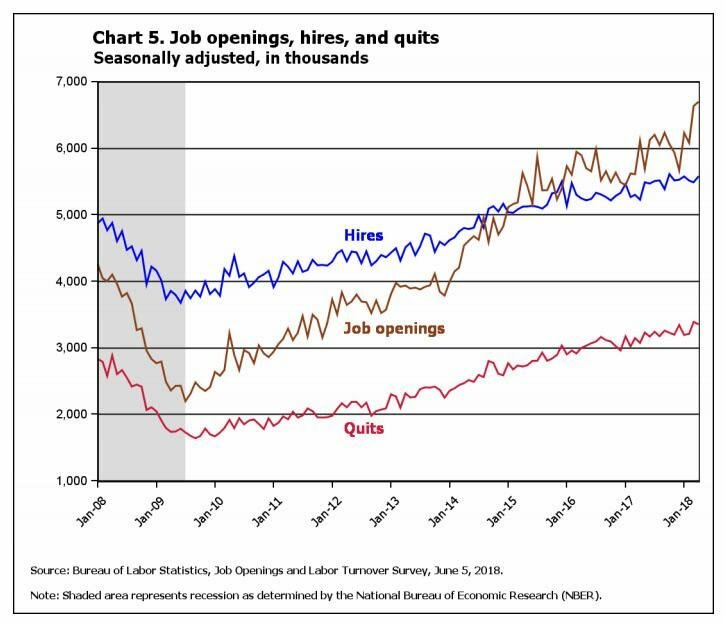 America is entering the last part of the business cycle – people are quitting, since they’re finding better job openings and get paid more. After this last big rally, the smart money will be right – a correction will follow, so when it comes to taking action on the first ever Artificial Intelligence IPO, our chance is NOW. The commodities sector is going to act as our hedge, offsetting any short-term forced selling of large-cap holdings, so we are correctly positioning on all fronts. An epic two-month period is beginning – effective next week. TRUMP FULLY PANICKED: Make Preparations!